The economy of the United States is under attack, and the enemy is counterfeit goods. 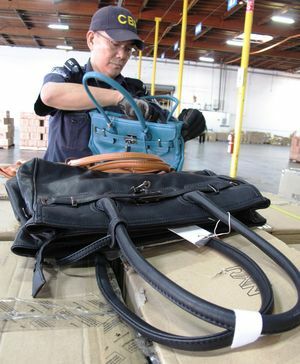 In 2012 the US authorities seized over 1.2 billion dollars in counterfeit goods. That was just the amount that was seized. The actual number of counterfeit goods entering the US per year is hard to imagine. For every dollar the US consumer is paying for these counterfeit goods, it's a dollar not recirculated into the US economy. This means less consumer purchasing of US products, less jobs, less tax revenue, more unemployment and lower average income overall. The majority of all counterfeit goods are produced in China and an estimated 15 to 20 percent of all products made in China are counterfeits, according to the MIT Center for International Studies. So what is the real price of fake products? It's so large, it's impossible to say. We, the US, as a country are crazy to let this activity continue. But yet we do! Our Mission at Detect-a-Fake, is to arm the consumer with the information they need to purchase authentic products and not to further contribute to the counterfeit industry that is destroying our economy. You can do your part by inspecting every product that may have knock-offs, before you purchase and avoiding products if they don't pass the authenticity checks that we provide. In addition, you can make a difference by sharing any pages on this site that you find helpful in detecting a fake!